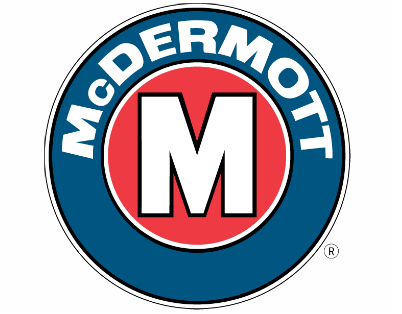 McDermott is a leading provider of integrated engineering, procurement, construction and installation (EPCI) services for upstream field developments worldwide. The Company delivers fixed and floating production facilities, pipelines and subsea systems from concept to commissioning for complex Offshore and Subsea oil and gas projects to help oil companies safely produce and transport hydrocarbons. Our clients include national and major energy companies. To support its progressive growth and build the organizational capability, McDermott in Indonesia is inviting candidates who possess relevant education background, experience and competencies to join our company. Coordinate with shop/erection floor planning to ensure compliance with the project plan. Responsible in executing Hydro testing based on the Test Packages which are already released for testing. High standard of safe working practice, quality and productivity as well as compliance with the code of business conducts. Ability to work under work load and high quality and safety. To manage construction activities of a project per the approved execution plan, project schedule and budget always acting in the best interest of the project. Overall technical manager for construction. Also will be responsible for management of all construction and coordination activities of an EPIC project [or part of] involving fabrication and marine installation. Responsible for the day-to-day construction management of large and complex projects. Manage daily activities of project construction personnel including technical support. Responsible for the technical success of the project with due regard to project budget. Manage Construction Managers, Sr Project Engineers and/or Project Engineers to achieve project objectives. Identify and solve complex problems, uses a broad perspective and resources inside or outside the project team to develop solutions, ensuring consistency with the project objectives. Responsible for construction phase of planning and execution of a project. To plan, and direct the construction effort and formulate the most cost-effective plan for timely completion within budget and to lead the execution of that plan. Liaise and coordinate with Construction Managers, Project Engineering Manager, Project Procurement Manager/Coordinator, Safety Advisor, Project Quality Manager, Discipline Managers, Sub-contractors, Operations Engineers and Hook-up Managers. Lead the construction effort and be the construction representative of our company with the Client construction team. Ensure all changes to specifications, work scope and drawings are documented through the Desk Top Change Management System. Supervise and approve the development of PEP [from construction point of view], and its implementation plus ensuring Lessons Learned are properly documented throughout the life of the project including Project Close-out. Strong Construction experience of offshore structures and/or submarine pipeline installation & offshore Hook-up. 10 -15 Years in Oil & Gas Construction. FRAUD WARNING!!! McDermott and its affiliates DO NOT charge candidates fees or request payments of any kind at any point during the recruiting and onboarding process. 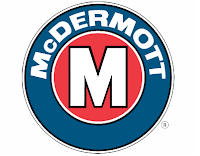 Thanks for reading McDermott Jobs: 2 Positions. Please share...!